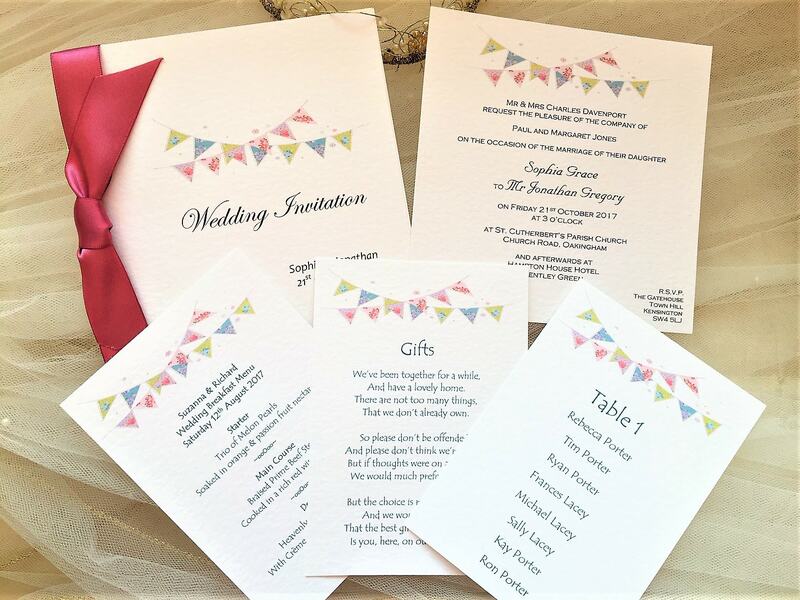 Our Summer Bunting Square Centre Fold Wedding Invitations are an attractive personalised wedding invitation supplied on a thick heavy weight (270gsm) hammered card and available in either white or ivory. 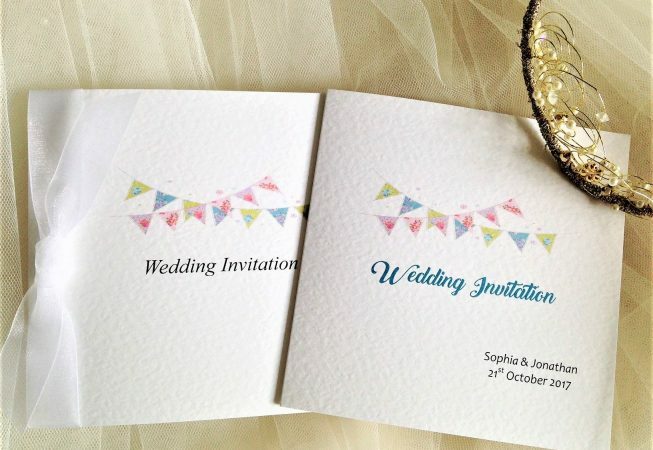 This wedding invitation can feature the bride and grooms names and date of wedding if you wish. 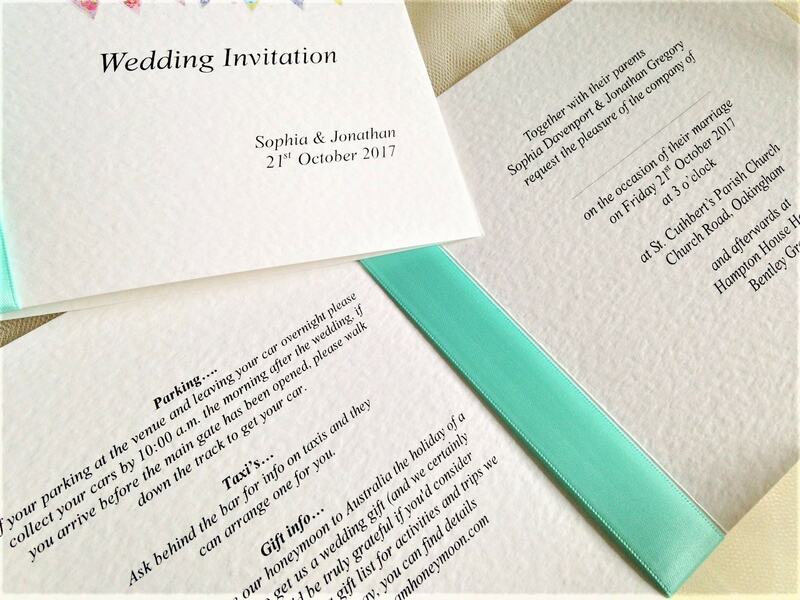 This is optional so please request at time of ordering. 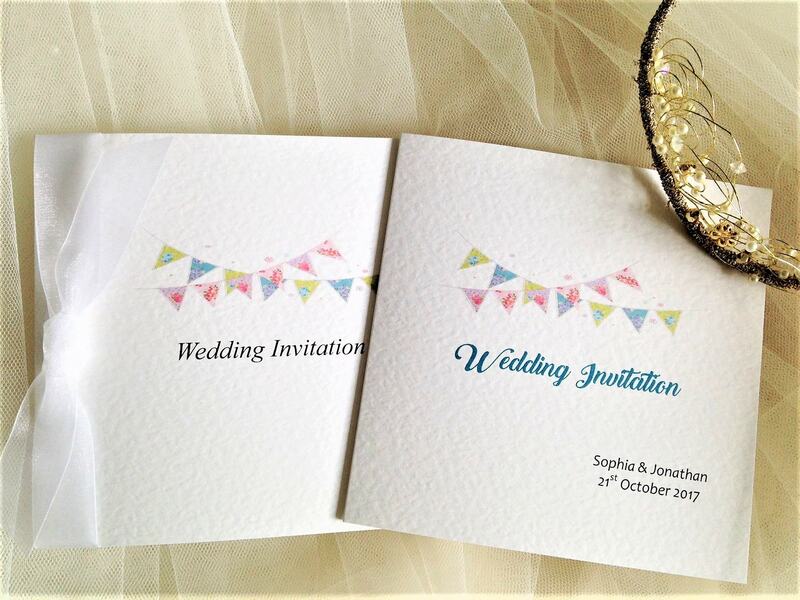 All our wedding invitations are supplied with a matching hammered envelope and we can print your guests names free of charge (again this is optional). 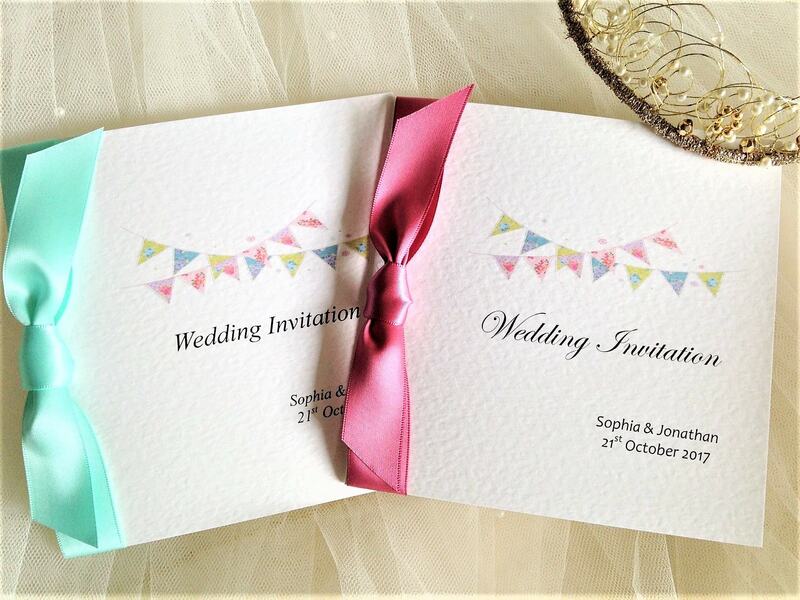 Summer Bunting Square Centre Fold Wedding Invitations are part of our Summer Bunting Wedding Stationery Range.